The 367-ft. Asphalt Trader departed Baltimore Saturday after it was detained for numerous safety discrepancies found during compliance inspections in 2016 and 2017. A three-person examination team from Coast Guard Sector Maryland-National Capital Region Port State Control branch inspected the Asphalt Trader, previously known as the Newlead Granadino, near the end of July 2017. After thorough inspection, the Coast Guard received the necessary documentation and verified the vessel is in a safe condition to depart Baltimore. During the ship’s examination in September 2016, multiple safety discrepancies were found involving the ship’s fire detection and suppression systems, emergency power, and life-saving systems. The original owners were unable to conduct necessary repairs which caused the ship to be docked in Baltimore for 10 months. 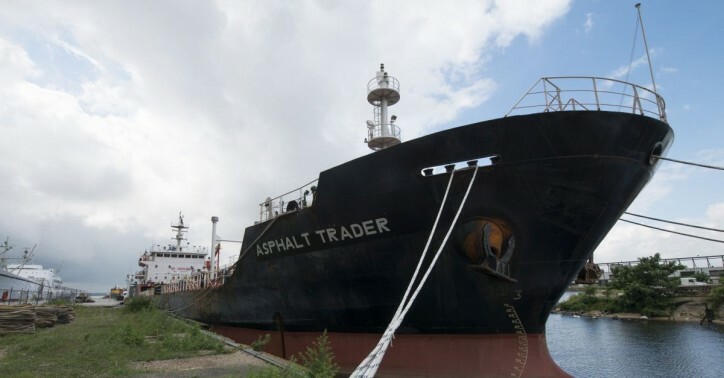 The ship was sold and renamed the Asphalt Trader. The Asphalt Trader departed Baltimore with all of their life saving and fire fighting systems intact and operational.